Bruce Lee is much more than just one of the best martial artists of all time, he is a philosopher who sought to integrate his beliefs into everything he did. Lee outlines a framework in order to grow spiritually, mentally and emotionally by living in accordance with Tao, the way or nature. Lee’s quintessential philosophical belief of flowing and not forcing what comes your way can easily be related to how water acts – “Empty your mind. Be formless. Shapeless. Like water. Now you put water into a cup, it becomes the cup. You put water into a bottle, it becomes the bottle. You put it in a teapot, it becomes the teapot. Now water can flow or it can crash. Be water my friend. One of the most powerful ideas I got from this book is the idea of being completely honest to yourself and expressing that truest version of yourself in everything that you do. His belief in flow, purposelessness and simplicity are all concepts that resonate deeply with me too. 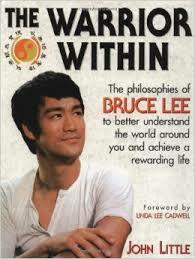 If you only know Bruce Lee for his movies and martial arts, this is a side of him worth exploring. Knowing yourself is crucial. It is the most important thing a person can know because it is only once you know yourself that it is possible to truly know anything else. This entry was posted in Books and tagged Bruce Lee, John Little, Martial Arts, Philosophy, Spiritual, Worth Re-reading on May 4, 2015 by Blas.